You already know tabs from your web browser. For example, in Safari the tabs are sheets for displaying multiple web pages within one browser window. 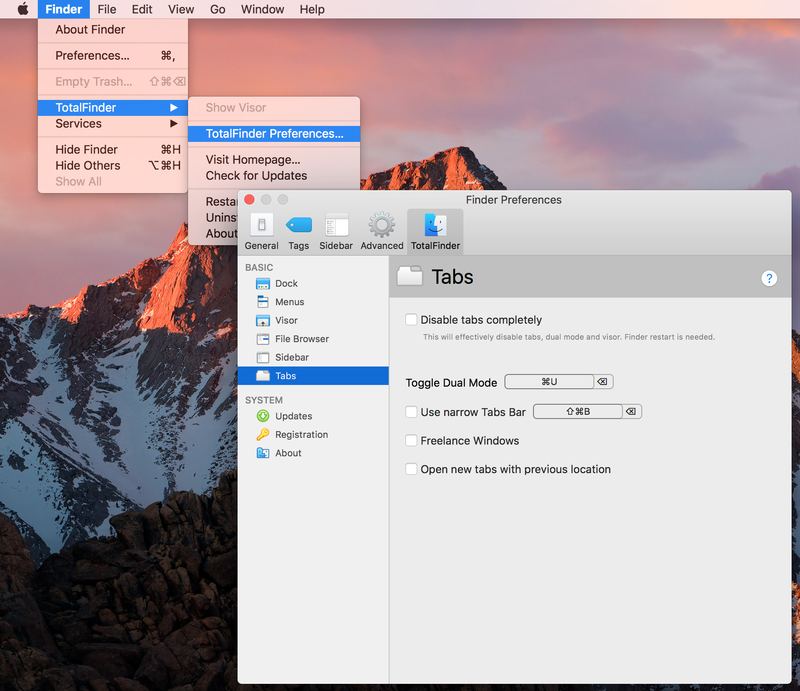 Similarly, in TotalFinder tabs display multiple directories within one window. TotalFinder uses the code from Google's Chrome web browser, which is why the tabs look and behave in a similar way. What can I do with tabs? You can switch between tabs. You can pull the tab out into a separate window. You can drag the tab and insert it between other tabs in an existing window. You can close individual tabs. You can double-click the tab to enter a dual mode. You can drag file or folder onto a tab to move it. You can drag folder in between tabs to open given folder as a new tab. Do you want additional shortcuts for switching tabs? For example ⌘⌥→ to match Google Chrome? 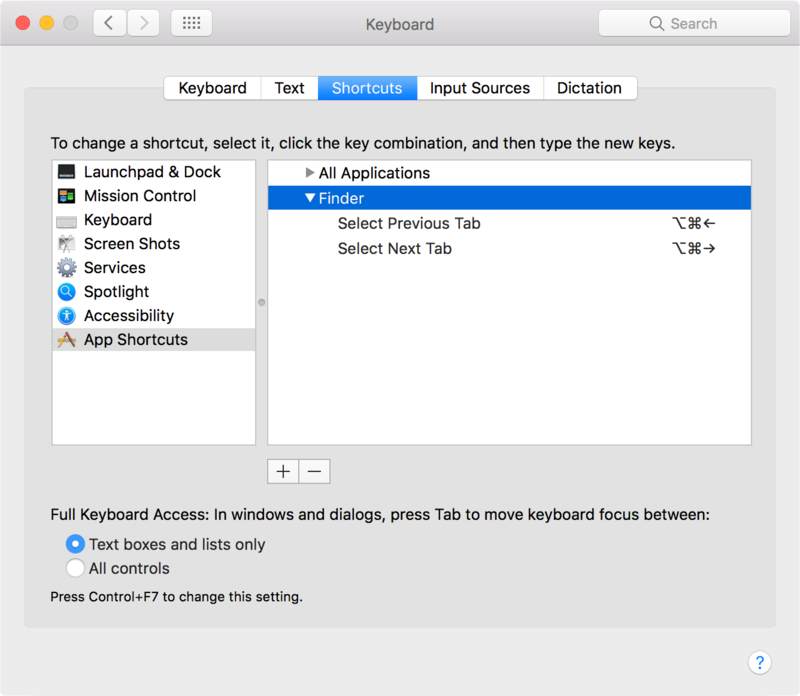 You may want to use the standard OS X mechanism for mapping keyboard shortcuts to menu items. Note that adding ⌘⌥← and ⌘⌥→ overrides standard Finder shortcuts for expanding items in the list view. Some people prefer to use native Finder tabs. Please note that this option will also disable the Visor and Dual Mode features. TotalFinder will restart Finder. Dual mode is covered in a separate article about Dual Mode in TotalFinder. For people who are running OSX on small notebooks with small displays. Checking this option makes TotalFinder's tab bar smaller and saves 14 pixels of precious vertical space. By default TotalFinder forces all new Finder windows to be opened as new tabs of the last active TotalFinder window. Please note that new Finder windows can be opened as a result of some event. For example clicking on a DMG file opens a new Finder window. After checking this option newly created windows start as new windows. Instead of opening into its own window, new tabs will open among the tabs of the last active window. When I open new folders in Finder they open as Finder's native tabs. I would prefer TotalFinder's tabs. TotalFinder behaves like that. But there is a system-wide Dock option which interferes with this behavior. 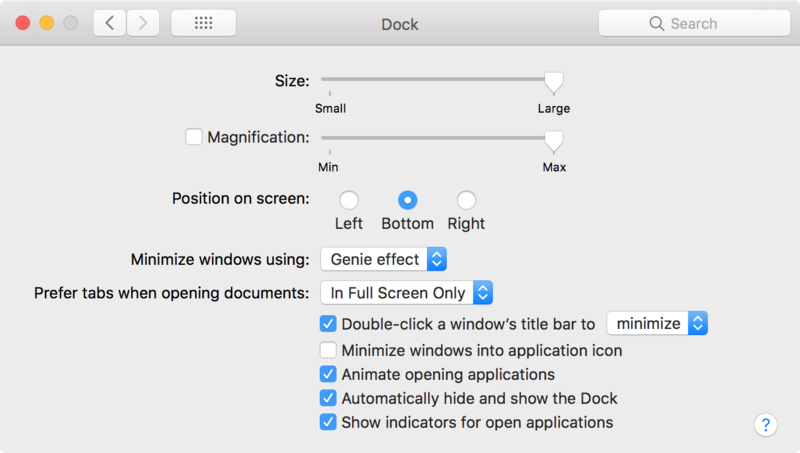 As we've recently discovered the option toggle in System Preferences -> Dock -> Prefer tabs when opening documents. 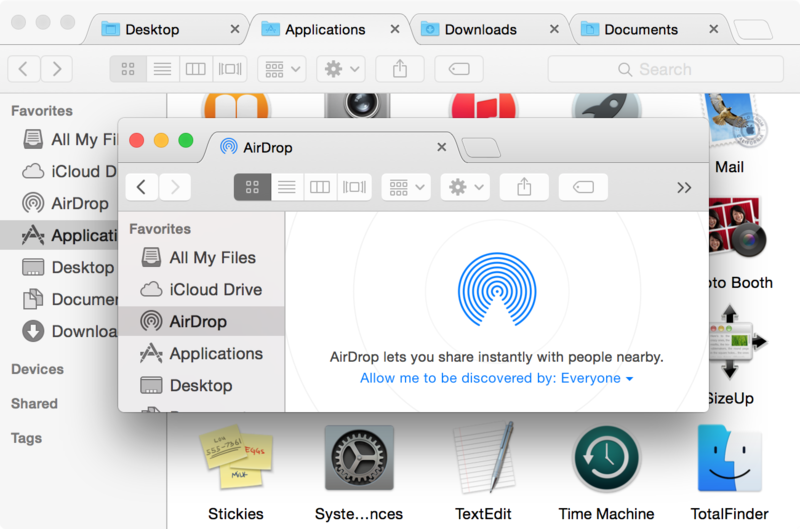 When you switch it to Always it will override default TotalFinder behavior and folders opened from external apps will open as Finder's native tabs. Default option is In Full Screen Only but you might want to change it to Manually if you want to use TotalFinder in full screen mode.